We are a well-renowned organization in the industry to provide our patrons the best quality array of Green Trellising Clip. 1 Box - 7500 Pcs. It is useful in various crops like Tomato, Cucumber, Capsicum etc. High Quality Tomato Clips from ARaymond, Spain. These Plant Support easy to use clips are the industry standard for supporting tomatoes, cucumbers, peppers, pumpkin and many other plants. They let you securely connect vines and stems of the plants to trellising twine, cages, strings etc. We are remarkable enterprise, involved in offering superior quality Tomato Trellising Clips. The clips are used as stem support clips or ties for trellising purpose. 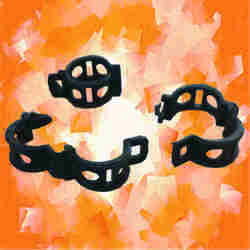 These tomato clips are used for hanging plants like cucumber, capsicum & tomato in poly houses. 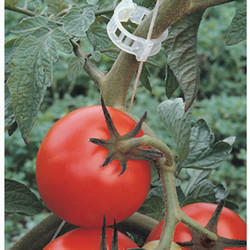 Tomato clip is used to support the tomato vine in the greenhouse and net house. Tomato Clip is used to bundle messy branches, vines, it is easy to use and suitable for tomatoes, grapes and other plants. Our company has gained name and fame in presenting Crop Supporting Clip. We sell best quality at most affordable price.